Boys will be boys, so it's always best to dress them in waterproof clothing with reflective detailing. Keep them dry, keep them visible in Columbia's Glennaker. That's how they grow up to be president, well, part of it anyway. Boys will be boys, so it&apos;s always best to dress them in waterproof clothing with reflective detailing. 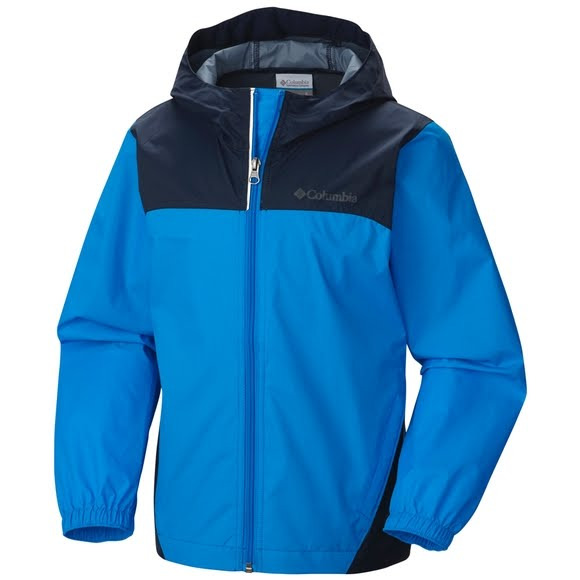 Keep them dry, keep them visible in Columbia &apos;s Glennaker. That&apos;s how they grow up to be president, well, part of it anyway. Fits true to size. Shipping was speedy!